As Christians, we are absolutely responsible for our growth in Christ, yet entirely dependent upon the Holy Spirit to foster such growth. This duality, one of the great paradoxes of the Christian life, is captured in Paul’s exhortation to “work out your own salvation with fear and trembling. For it is God who is working in you, enabling you both to desire and to work out His good purpose” (Phil. 2:12–13). Thankfully, God has made plain how we are to pursue Godliness and how he works in us to this end. In fact, the secret to the Christian life is there is no secret. God has given his children spiritual disciplines like prayer, worship, and especially, Bible intake to nurture our sanctification. 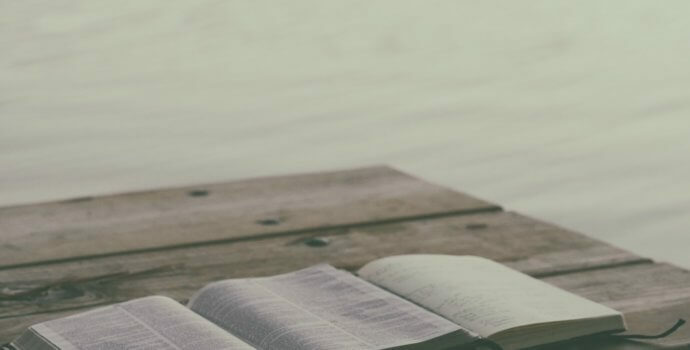 While all the spiritual disciplines are commended, Bible intake is the most foundational and most urgent. It is the indispensable discipline because it informs, fosters, and enables the other disciplines. For example, the Bible teaches one how to intercede, thus informing the discipline of prayer. The Bible presents the person and work of Christ, thus informing evangelism. The Bible is the Word of God, thus enabling worship through the reading and preaching of it. Likewise, the Bible similarly informs, fosters, and enables each of the spiritual disciplines, giving it a singular status. The preeminence of Bible intake is rooted in the nature and status of Scripture itself. God chose to reveal himself to his people through his Word. The Bible is self-described as being “like a hammer that pulverizes rock” (Jer. 23:29), and as a word that “will not return to Me empty” (Isa. 55:11). Moreover, it makes binding, theological claims of itself, declaring, “All Scripture is inspired by God and is profitable for teaching, for rebuking, for correcting, for training in righteousness” (2 Tim. 3:16). Evangelical Christians embrace the verbal, plenary inspiration of Scripture. “Plenary” emphasizes the totality of Scripture, and “verbal” underscores that the words themselves—not merely the authors’ or their thoughts—are inspired. Since all of Scripture is inspired by God, it is true, trustworthy, and authoritative. Bible intake, though singular in importance, is practiced through six primary steps. Practice these six simple steps and see your Christian life revolutionized. Hearing the Bible is the most basic and common form of Scripture intake. It occurs when one sits under the ministry of the Word, whether preached or taught, received in person, or through other mediums. Jesus pronounced blessing upon those who hear the Word of God and obey it (Luke 11:28), and Paul assigned the “public reading” of Scripture as an indispensable part of public worship to ensure God’s people heard God’s Word (1 Tim. 4:13). Reading the Bible, at the personal level, is perhaps the most essential form of Bible intake. For the Christian, nothing should displace daily Bible reading. This includes both the macro-level of reading through books of the Bible, and the micro-level of reading passages and verses repeatedly for greater familiarization and specific application. Studying the Bible gives the Christian depth and strengthens his knowledge of God, thus enabling him to more ably teach and defend the faith. Every believer is called to be a Berean, searching the Scriptures and weighing teachers and doctrines by them (Acts 17:10–12). Such is expected of a disciple—or learner—of Christ, and the most faithful disciple will “be diligent to present yourself approved to God, a worker who doesn’t need to be ashamed, correctly teaching the word of truth” (2 Tim. 2:15). Memorizing the Bible is another proven method of Scripture intake. In so doing, one hides God’s Word in his heart, so as not to sin against Him (Ps 119:11). Moreover, it follows the pattern of the Bible itself. Whether it is Jesus quoting the Scriptures to Satan or Paul reasoning from the Old Testament to his Jewish interlocutors, the Bible prioritizes “treasur[ing] Your word in my heart so that I may not sin against You” (Ps. 119:11). Meditating on the Bible sounds like a mystic practice to some, but it is a biblical concept and a distinctly Christian activity. In fact, God links meditating on his Word with obedience and blessing (Josh. 1:8, Ps. 1:1–3). Meditating on God’s Word is as simple as intentionally reflecting on a passage of Scripture, directly applying its truth to your life, and letting it marinate in your heart. Time devoted to lingering over Scripture is time well spent, as it surfaces implications for one’s life and enables the living and active Word of God to convict of sin and inform the conscience (Heb. 4:12). Praying through the Bible flows naturally from Scripture meditation. Giants of the faith, such as Martin Luther, Charles Spurgeon, and especially George Mueller made a habit of praying through Scripture. The Psalms especially lend themselves to prayer. In the Psalter, one finds the full range of human emotion, gains a panoramic view of God’s Work, and encounters the full pallet of biblical truth. Additionally, praying the Scriptures helps assure one’s prayers are biblically sound and most pleasing to God. Though the Western world is largely Bible-saturated, many professing Christians in the West ironically live Bible-depleted lives. This is a tragic occurrence, but not perplexing. The answer to the problem is not hidden, neither is it complex. Christians are called to be people of the book—the Bible—and therefore must prioritize the spiritual discipline of Bible intake. Not everyone can preach a sermon, lead a Bible study, or persuasively advocate for biblical truth, but every believer can and must engage in Bible intake. In as much as the Christian life has a silver bullet, it is Bible intake. Therefore, practice these six simple methods of Bible Intake and see your Christian life revolutionized.